IAB identifies post audits deducted or submitted by internal or third-party auditors, accumulates supporting documentation and establishes contact with the correct representative. Our team thoroughly researches all related issues, determines the validity of the claims, maximizing recoveries, and provides root cause analysis for future prevention. Rapidly and efficiently manage your customer’s post audit deductions, both taken and pre-notified. Allows your staff to focus on current deduction resolution and recovery. IAB identifies post audit deductions and chargebacks, accumulates supporting documentation and analyzes all pertinent information. IAB researches issues quickly, interfaces with appropriate systems, and establishes contact with the correct customer or third party representative. IAB provides documentation that denies claims and requests repayment, or requests further documentation to substantiate claims, following up until resolved. IAB documents all activity, reports on resolution and recovery results, as well as provides root cause analysis on a monthly basis. IAB’s rich network of deduction experts regularly shares their Best Practices to assure improved results. Improved recovery and prevention rate for post audit deductions. Increased focus on post audits reducing the likelihood you will become a target for these deductions. Lower DSO, lower DDO and reduced write-offs. Increased cash flow and percentage of current A/R. Work with our professional, experienced and stable management team to fill your accounts receivable outsourcing needs. 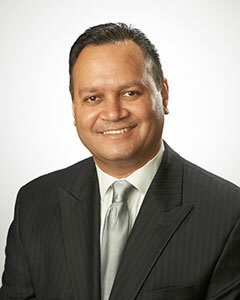 Angel Garay is the Director of Operations for the Midwest Region of IAB Solutions, LLC. Angel joined IAB in 2005 and moved up the ladder to his current position. Angel trains and oversees the Project Managers in the field. He helps out with strategic planning and utilizes his analytical and technical skills to improve efficiencies and accomplish the best possible resolution results for our clients. Prior to IAB, Angel held managerial and supervisory accounting positions in the manufacturing, printing and entertainment distribution industries. He attended DePaul University in Chicago, IL.